The Supreme Court of Russia has overturned a decision to strip a Circassian Turk of his right to live in Russia, ordering a local court to hear his appeal. 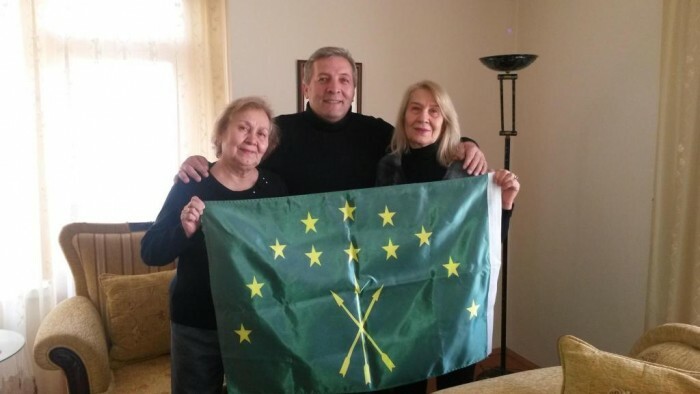 Tarik Topchu, who goes by the Circassian name Shamis Khotko, had his temporary residence permit annulled by the Interior Ministry in August 2018, after the ministry accused him of supporting terrorism. On 29 December 2018, the Supreme Court of Kabardino-Balkaria refused to hear an appeal of the ministry’s decision, as Topchu did not submit it within the required three days of the ministry’s decision. Topchu told OC Media he did not receive notification of the decision until after the three days had expired. ‘They just don’t want to see me here because of my past, in that I have political experience’, Topchu told OC Media in January. ‘They don’t want me to communicate with people in our homeland, and they know very well that I have nothing to do with terrorism or extremism’, he added. The court considered the case without the presence of the plaintiff, whose interests were represented by his lawyer. According to Topchu, he was not allowed to attend the hearing because the case was classified as a ‘state secret’. ‘We won the trial. I’m very happy! I think that the “conspiracy” was broken’, Topchu told OC Media following the verdict. Human rights activist Aslan Beshto, the head of the Kabardian Congress, said he was positive about Topchu’s appeal, given that there was no active investigation against Khotko. Topchu, a Journalist of Circassian descent born in Turkey, came to Kabardino-Balkaria in May 2017 on a student visa. The following year, he received a three-year residency permit. According to Valeriy Khatazhukov, head of the Kabardino-Balkarian Public Human Rights Centre, Koblev ‘has been a citizen of the Russian Federation for almost 20 years, and his spouse is also a citizen of the Russian Federation. We are sure that there are no grounds for depriving him of his citizenship’. Beslan Kagazhey, a lawyer from Kabardino-Balkaria and a board member of public organisation Peryt, told OC Media that the attempt to expel Koblev and Topchu was a part of ‘preventive measures’ by the security services to ‘discourage’ Circassians from returning to their historic homeland. According to Russia’s 2010 census, there are 720,000 currently living in Russia, making up the majority in only the Republic of Kabardino-Balkaria, with smaller communities living in Krasnodar Krai, Adygea, and Karachay-Cherkessia. In Karachay-Cherkessia, according to local Circassian group Adyghe Khase, there are only 37.